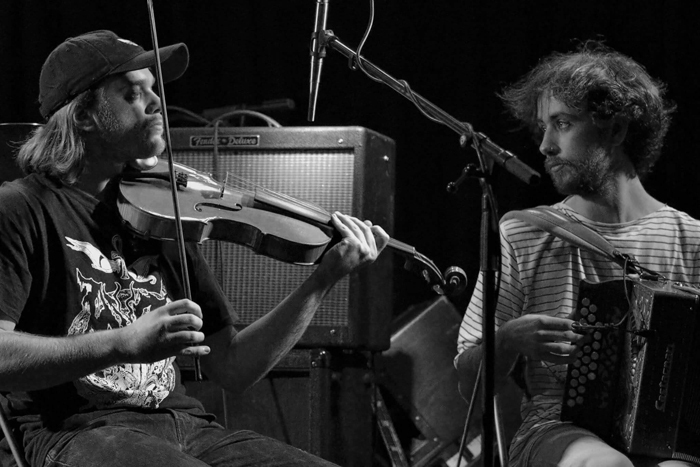 Tom Moore (Viola) and Archie Churchill-Moss (Accordion) are two increasingly established performers on the folk scene best known for playing with BBC-award winning trio Moore Moss Rutter. In this newly reformed duo act, they are performing a programme of brand new instrumental music – almost all of it self-penned and improvised. Taking influence from all corners of Northern Europe and from fresh contemporary art music, an evening in the musical company of Moore & Moss will leave you mesmerised, inspired and thrilled.